I love Rainy Days! I enjoy the days of slow and steady rain to replenish the earth and if a rainbow appears that is just the icing on the cake. One of the first kits I created back when I first started the CWR kit’s was this sweet Rainy Day Girl. It was time for a comeback! 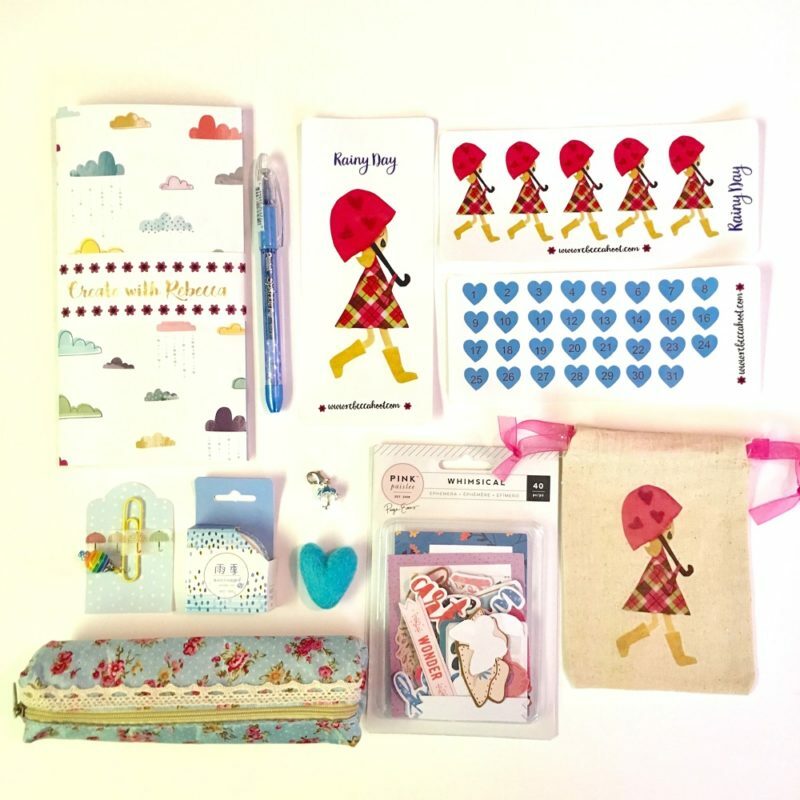 I hope you love all the carefully selected items of happiness in this kit! This kit was so much fun to put together! Each item is carefully selected and assembled to match a perfect little kit just for you or to send to a dear friend to enjoy! A special side note, there are prints available of the art work to create this kit. This kit was so well received and sold out within the day! Wow I am so grateful and happy that there are others that love Rainy Days as much as I do! Thank you to everyone that purchased the kit! Stayed tuned for next month’s kit! Reveal April 15th! Hello April! I can’t believe we are already four months into 2019! Time Flies no matter what! I am really enjoying journaling everyday. I still have to play catch up but I’m getting my stories down on paper. My process includes writing an event or story a day. 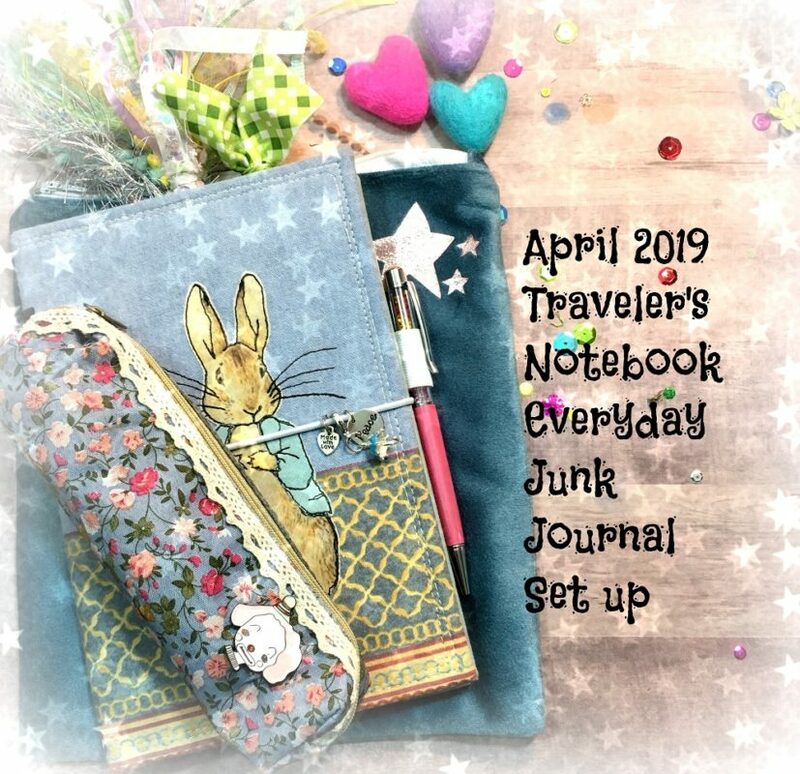 In this video, I show you my process of how I set up my Cahier size Traveler’s Notebook for the Month. 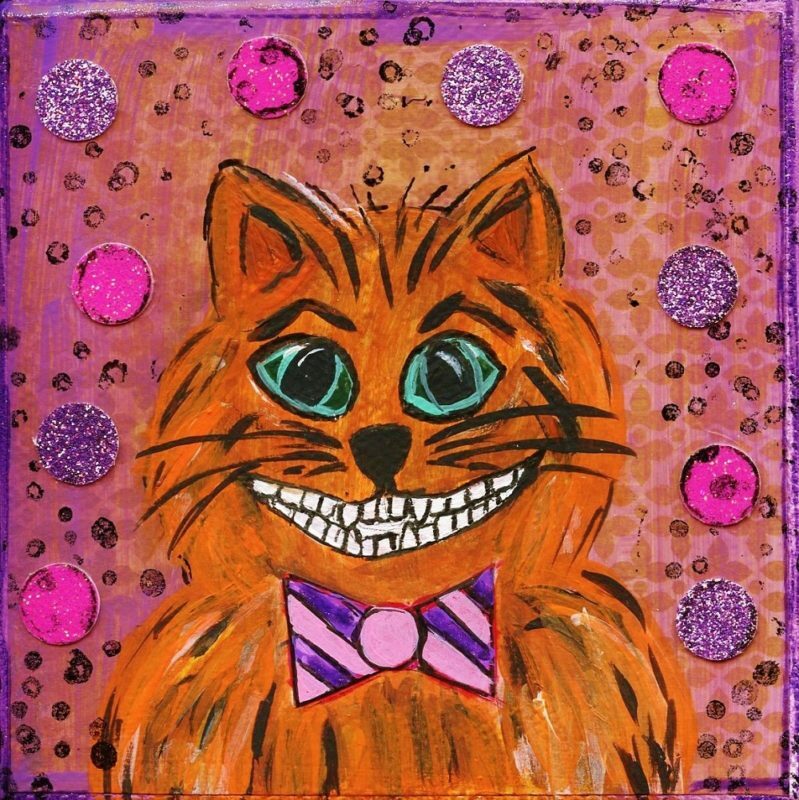 I use the Rebecca Hoot Everyday Journals and add a few different types of paper to make it a junk journal. Can’t you hear it? Autumn is calling!! The days will be getting shorter, the leaves will start to change colors, a cool crisp breeze will be in the air. I can’t wait to wear my favorite outfit of tights and my burgundy corduroy dress while drinking a pumpkin spice latte. Yes this is me, I love all things seasonal. I won’t speak about the weather hear in Texas, it’s still in the 90’s, instead I’m going to continue to dream and listen because Autumn is calling! 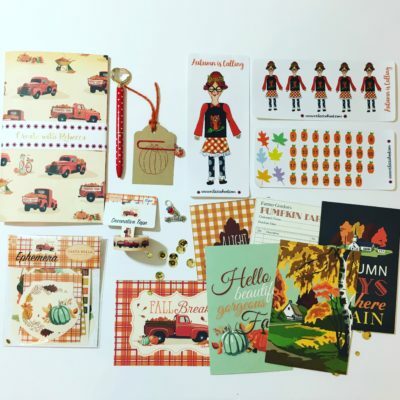 Who is ready to adorn their planner, journal or memory book with all things red, yellow and orange!? 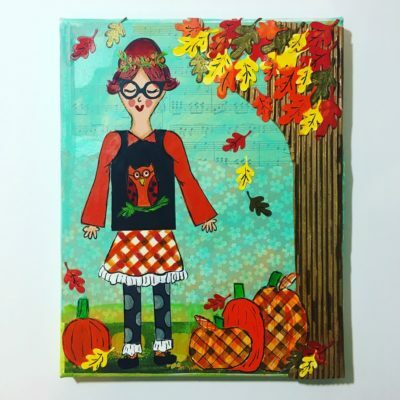 This kit is created around a mixed media whimsical autumnal girl by Rebecca Hoot. 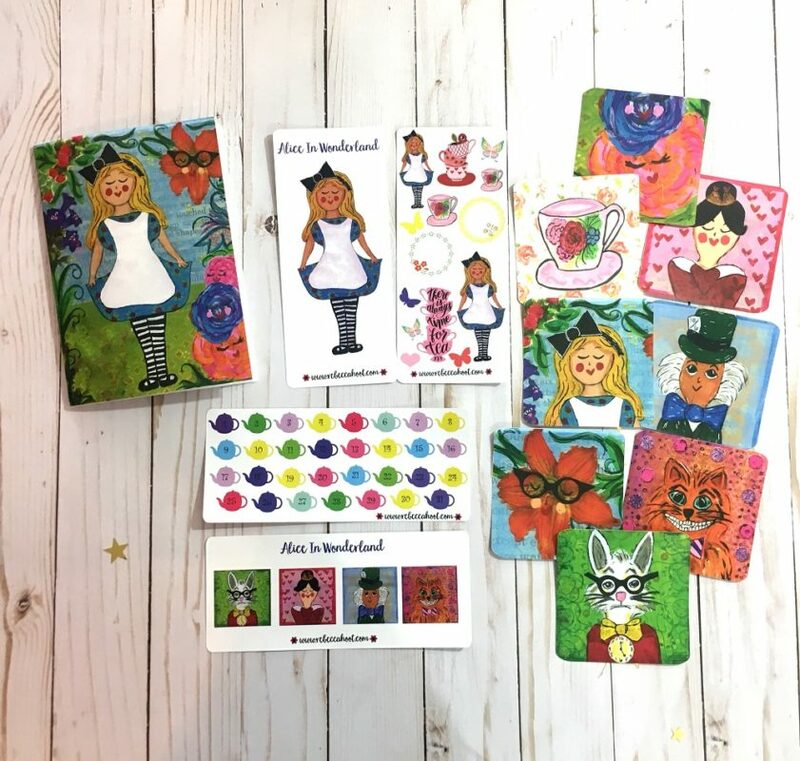 Each item is carefully selected and assembled to match a perfect little kit just for you or to send to a dear friend to enjoy! Kits are now available in the shop! Hello! 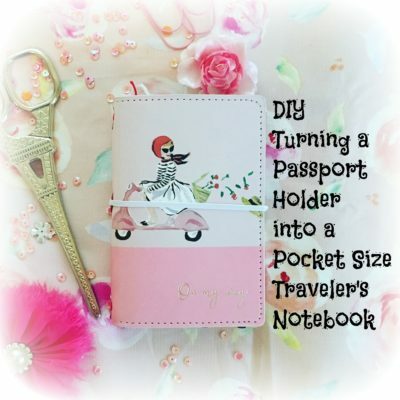 In this video I show you how I turn a Passport Holder into a Pocket Size Traveler’s Notebook. To warn you ahead of time, there is quit a bit of banging with the tools so prepare to turn down the sound! LOL! 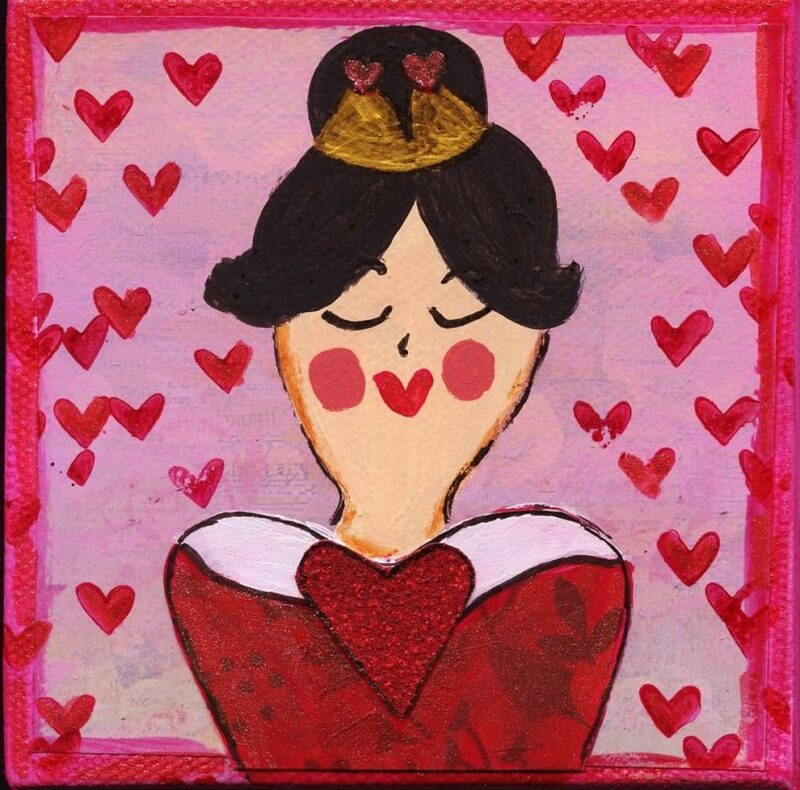 Hope you are inspired to create one yourself if you come across a Passport holder! I did look online and there are other eyelet punches that can be purchased for the hard to reach spaces like the middle of the notebook, check the sewing area of your craft store too! 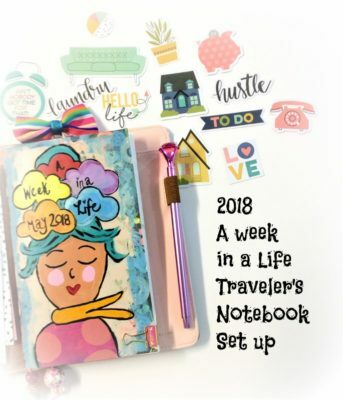 Hello and welcome to week 5 in my Summer Journaling series! In this video I show you how I prep journal pages for future journaling. 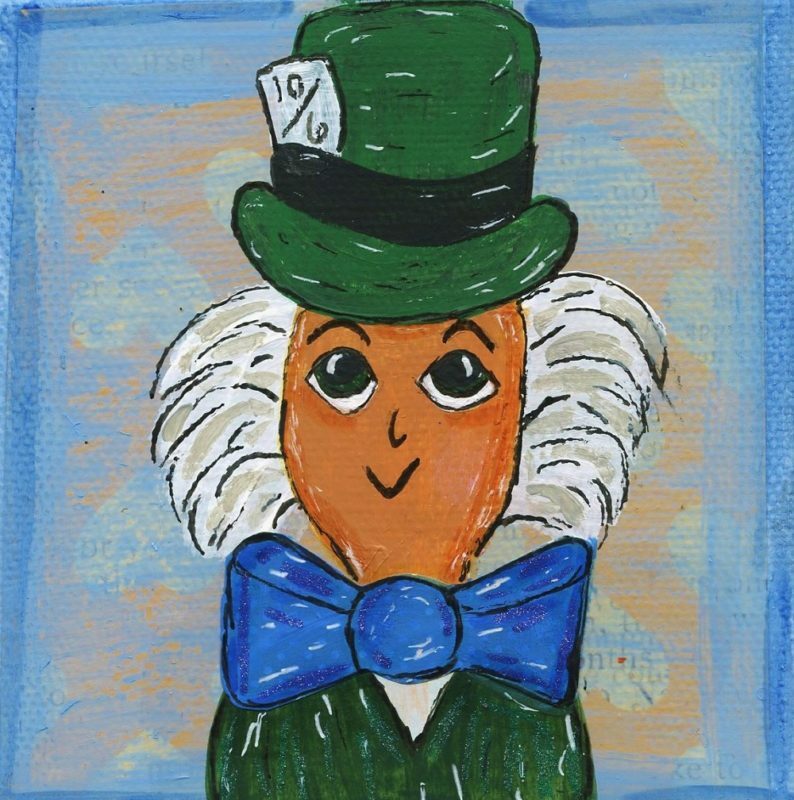 How many of us who paint our journal pages have to wait for the paint to dry? If your like me I am so easily distracted I find it better to add watercolor to pages before I am ready to journal so when I am ready, I have painted pages already. Does that makes sense? In this video I show you what I do. 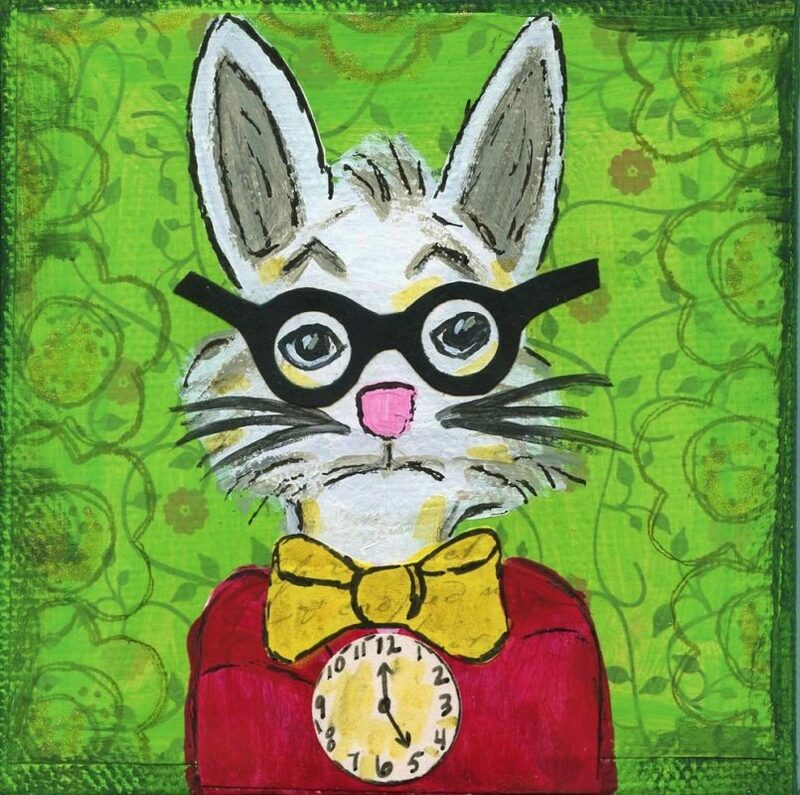 I hope you are inspired to be creative today!! Hello! Welcome back for some more summer inspiration! 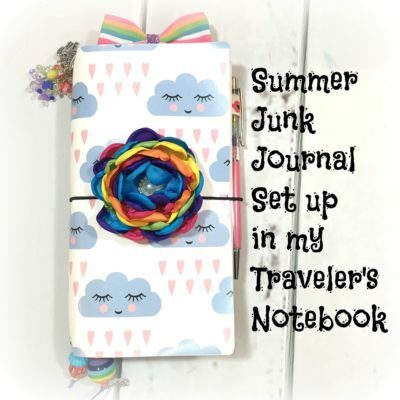 In this video I create a two junk journals and set up my Happy Clouds Traveler’s Notebook. Using one notebook for fitness tracking and the other for everyday journaling. I also show how I add pockets using a baseball card sheet protector. Hello! Hope everyone had a great Sunday and Mother’s Day! Here is central Texas we already have had extremely warm days and they will not stop now through October. Usually by the time mid-July through early September we are indoors in the air conditioning trying not to melt. However, I love welcoming summer through journaling! It’s a time for family, relaxing, taking vacations and really getting memories on paper. This year we are planning more staycations and looking to visit different museums, festivals and events close to home. I’m really looking forward to exploring and having new adventures. 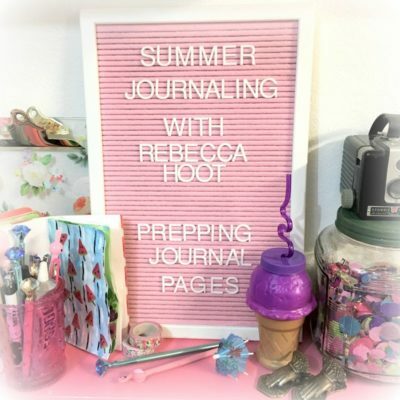 Similar to what I created at Christmas, I wanted to create a mini video series about Summer Journaling. 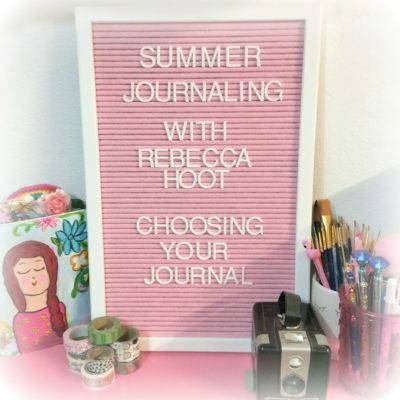 So welcome to the first video in the Summer Journaling video series . I thought it would be fun to share some of my techniques and maybe inspire you. This series will include 6 videos to be posted on Sunday evenings, CST. 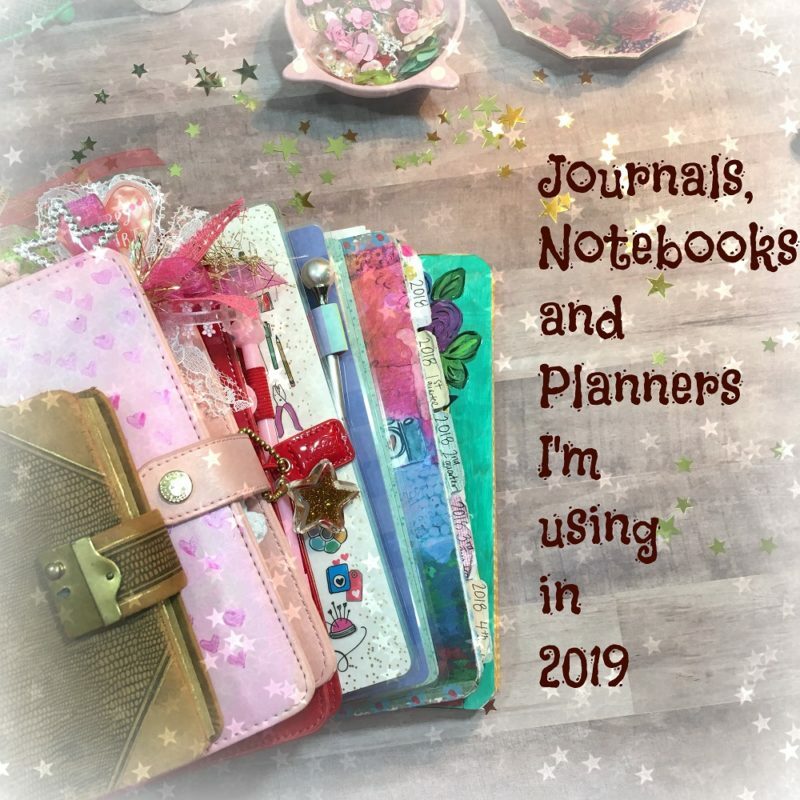 In this video, I talk about past scrapbooks and journals I have used and what I plan to use this year. Let me know if you have any questions or I would love to hear how you are planning and documenting your summer! Hello! I’m back with a process video of how I created a quick paint doodle to the cover of the Traveler’s Notebook insert I’m using to document a Week in A life. Also, in the video I also talk about how I plan to document and hope to post on IG and Facebook my daily documentations. Anyone else documenting this week?